In more than one post I have referred to the Avocado Lady. Far from being an elusive character, she is nothing short of a celebrity for the foreigners’ community of Shanghai who regularly go fill up their fridge and pantry at her very unassuming shop in the former French Concession. 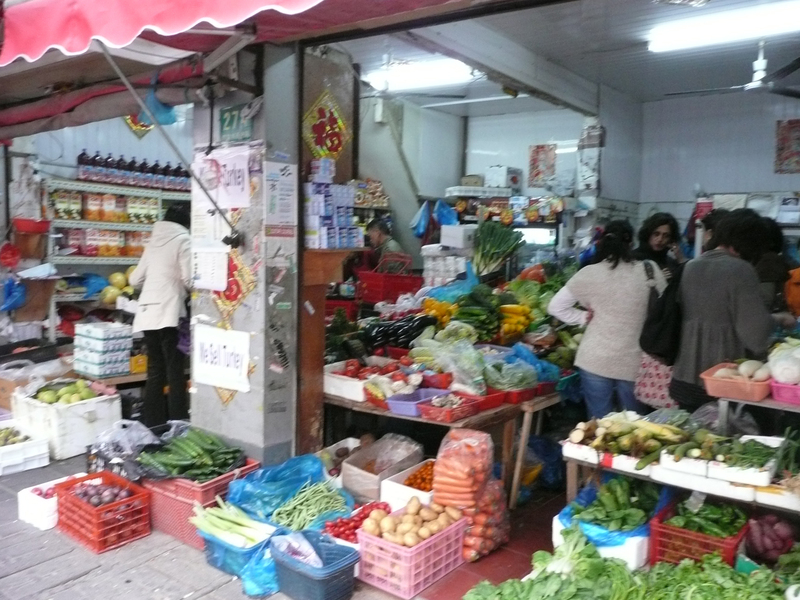 There you can find all sorts of Western food products as well as fabulous vegetables at really reasonable prices. I think she sometimes has more on offer than expat supermarkets. I never went there to shop and not found what I was looking for! Polenta, couscous, fresh basil, fresh mint, fresh rosemary, parmeggiano, parsnips, San Pelegrino, very good dried fruits, red and green lentils and other pulses, tehini, De Cecco pasta, etc. The shop is held by two Chinese ladies, but the one with short hair is the one in charge. Just Google: Avocado Lady Shanghai and you’ll see what she looks like. She speaks English or at least knows the English name of all her products and so you can ask her for whatever you want and she’ll find it somewhere in her tiny shop. She’s very friendly and will never hesitate to round down what you owe her which, amongst other things, makes her a great trader. I was told three years or so ago, her shop was half its current size but due to her success and being able to win the loyalty of many foreigners, she’s expanded into the next unit. She’s been dubbed the Avocado Lady because avocadoes used to be a very rare commodity in Shanghai and she was one of the first to sell them. Now you can find them in many places but the nickname stuck, which comes in handy because her shop, like most fruits and vegetable shops of the city, has no name. So next time you’re despairing over the expat supermarkets’ prices and complaining about not finding this or that, head to the intersection of Wulumuqi Lu and Wukang Lu and walk southwards on Wulumuqi Lu on the right hand side of the street. Just watch for the many laowai holding blue plastic bags and you’ll spot the place!